Improve your technique. Gliding is a skill. Have skis to choose from that will be fast in general given the conditions. Have skis that are well suited for cold conditions (according to their flex) with a "cold' structure, skis that have a flex better for wetter conditions with a "wet" structure etc. This seems very basic, but isn't the practice so often. Many people have multiple pair of the same. Have more options for your most common conditions. Don't ski on your good skis in rocky conditions. Yes, it could be that all you have is rocky conditions and then you need to make a choice, but often if you avoid using your good skis a week here and there, your good skis will not only be good this year, but for years to come. Wax: keep things simple. So often people "go for it" but only in one respect forgetting that having fast skis involves a combination of factors. Basically the speed of your skis will be determined by the factor(s) that is slowing your skis down the most being addressed or neutralized. Getting an A+ on a few things but ignoring a basic factor can clearly result in poor skis. Examples of factors for glide include ski flex, base structure, how the base of the ski has been prepared previous to adding race layers - black waxes, hardening layers, etc, ski preparation technique (using a burred scraper, not enough iron heat, too much iron heat, over scraping and under brushing, etc), wax application technique especially with top coats, and of course ski wax selection. For kick, it is mostly the same but also thickness of wax (especially compared to camber height), layers, smoothness of wax, sanding, if base layer was heated in or not, if a foundation was built (sometimes need a "medium" hardness wax between binder and a softer wax), if a cushion or cover was used, and of course wax selection. Cold slow snow - usually hard packed, often times in the form of hardened squeaky corduroy until it is skied in. The key words are "cold" and "slow". For me, this is a specialty condition. In these conditions, having a whole lot of contact with the base on the snow is key. Of course the base needs to have a smooth cold finish on it and it needs to be hardened with cold glide waxes (and mixing in XCold Powder is surely important in cold slow conditions). A key variable though is long contact zones in the tip and tail with the snow. This will give the skis a very good "breakaway speed" yielding slippery skis at slow speeds such as climbing and great acceleration. In such cold slow snow, addressing breakaway speed is the primary concern. Generally speaking, to achieve such long contact zones in the tip and tail, the skis need to be softer than normal as well as be a ski with a lower camber (and soft tips and tails). These skis will not perform well in other conditions, but are superb in these specific cold slow conditions. Faster cold snow even up to freezing and firm conditions - The conditions might look just like the "cold slow snow" conditions, but perhaps temperatures warmed and/or the course got skied-in. In any case, the key here is that the skiing is no longer especially slow, but more normal but still cold. In these conditions, a traditional cold ski is the ticket. A traditional cold ski such as the Rossignol S1 has longer contact zones and a low camber but it is still more lively than the ski mentioned above. It will have a faster high end speed and handle better. For most people, this is their all around "cold" skis and are especially good in firm conditions. Temperatures around freezing with firm conditions - these conditions are generally pretty fast and the snow is pretty hard. There is more free moisture in the snow of course than when it is much colder. The all around type skis such as a Rossignol S2 with a universal or fine universal grind depending on where you live (how arid or humid it is in general) have a flex that is good in almost all conditions in this temperature range. These skis have a camber and contact zones that are middle of the road. For most of the ski world, these are the most commonly skis used. X-Factor skis - In some conditions, a different type of ski is absolutely awesome. These conditions include a few inches of powder on top of a packed base (loose snow over packed), conditions where there is dirt and non transformed snow, and certain types of new falling/fallen snow. I have found that in conditions where there is 2-6 inches of new falling or fallen snow (all types basically) over a firm base, having a much stiffer ski (but in the "all around" or Rossignol S2 mold) is superb. The additional stiffness prevents suckiness especially in the form of a high speed drag and in general the skis feel much more "free" than with a traditional all around or cold ski. Additionally, these same stiffer skis are the ticket when the contact between the base and the snow needs to be minimized such as if very slow snow is falling (usually in the form of graupel snow which looks like styrofoam balls, falls around freezing, and can be extremely slow) or if there is a lot of dirt and well as powder/non transformed snow. Powder or non transformed snow is very sensitive to dirt on the base of the ski. Minimizing the contact of the base with the dirt reduces this braking effect greatly. It is the same with the graupel snow - if you reduce the contact of the ski base with this very slow snow which can feel like skiing on velcro, you reduce the braking effect of that snow on the skis. Where I ski, it is pretty common to get a few inches to a lot of snow on top of a packed base that doesn't get groomed for a while. This is also very common in bigger point to point races such as the Birkie and Boulder Mountain Tour for example where they can only groom so much when it is snowing and then they just leave it. This is a "luxury" pair of skis for some, but for me, it is one of my core skis that I am grateful to have. Basically what I have is a very stiff pair of S2s that I use in these common (powder over hard pack) or problematic (graupel or dirt/powder mix) conditions. In more normal packed snow conditions, these skis are unstable (hard to ski on even) and not great. Wet snow skis - Generally speaking, when conditions are very wet, you want to minimize the contact of the base on the snow. These skis have a higher camber that is also stiffer such as the S3 from Rossignol. These skis can be finicky. Small disparities in flex and where the skis have contact on the snow can result in big differences in handling and performance of the skis. Much of the time when conditions are very wet, there is also dirt on the snow. These skis are generally excellent in very wet snow and very dirty snow (wet dirty snow!). A great pair of these skis beats anything else in their condition (regardless of waxing nuances). They generally have a linear structure which is a good pattern if concerned about dirt and which also performs decently all around in different types of wet snow especially if the skis fit well (less contact). Basically these are moisture management skis and are usually clear based. 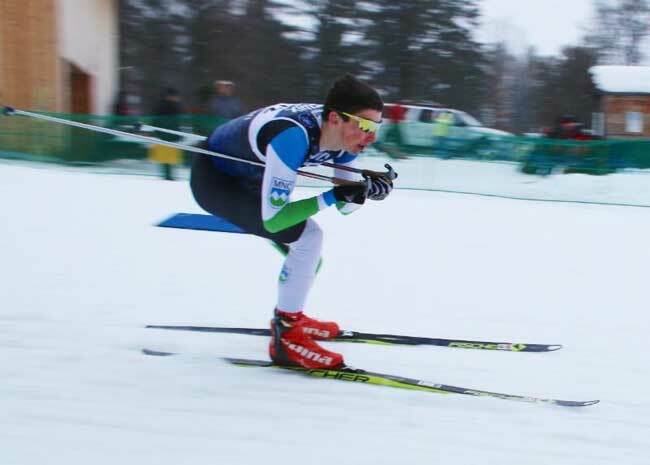 While some people use these skis in other conditions, the design is such that they are at their best in very wet snow (where free moisture/water in the snow is the major obstacle to overcome in achieving fast skis) and they can perform poorly in other conditions especially more arid hardpack conditions. On the elite level, skiers usually have options within this category with the main difference being the base structure (new wet snow versus transformed snow versus very dirty transformed snow). In general though, a medium linear structure on these skis is universally quite good assuming the skis are a good fit. They need to be stiff. If too soft, these skis are a disaster in speed and handling. For classic skis, so much more depends on the qualities of the skier. For example in past years, two of the athletes who I enjoyed waxing for the most were John Bauer and Karin Camenisch. Both of these skiers had the technique and fitness to ski stiffer skis. There were some races where I was able to select an especially stiff ski for them and wax shorter and thicker. We did this for example in races where we wanted to emphasize fast glide (snow was a bit sticky/grabby on the kick wax) but there were also some steep extended hills (example, think Hermod's Hill at Soldier Hollow) where trying to do a running herringbone the whole way up would yield too much time and having "good kick" with a traditional ski wouldn't glide fast enough on the extended gradual downhills. Other racers without their techique and fitness simply were not able to ski such skis and thus had less chance for the victory on these particular types of days. My point is that what you are able to ski on and benefit from in classic skiing depends on much on your technique and fitness levels (compared to skating). The best all around classic skiers in the world ski on very stiff skis - why not as they are also the fastest and hold their kick wax better. The classic ski recommendations include powder track skis like a Rossignol C1 which for a great many would be there all around skis. Many also call these "coaches skis" as they are so easy to kick. What is being given up though is glide and kick wax durability. These skis basically have a camber that closes easily and leaves little residual camber (the bases almost touch when you push them together). They are easy to ski and provide solid kick with little effort. Hard track skis such as a Rossignol C2 are all around classic skis that don't close as easily as powder track skis and have a little more residual camber. These are your all around skis. Some skis have a longer wax pocket than others. For most of us, this isn't such a concern (getting too far from the basics), but in some conditions where the snow is breaking or shearing, having a longer wax pocket can keep the snow from breaking on itself (or shearing) and yield substantially better kick. This is often the case when there is new fallen dry snow on top of a hard track. The layer of dry snow often shears or breaks where the new and old snow come together causing the ski to slip. Increasing the contact area of the kick zone (not by simply waxing longer but by waxing longer on skis with a longer camber) addresses this issue and results in far better skis. Using a stickier wax in these conditions doesn't affect much except to slow the skis down. Of course also very important is a skier's ability to "kick" with finesse rather than just powering (and slipping) around the track. In mashed potato type conditions (soft and deep), many people elect to use powder skis. This is often a mistake as a softer camber can result in the ski hyperextending yielding poor contact of the kick wax on the snow. A stiffer ski in these same conditions acts to trap and "cup" the snow providing a more solid platform to kick off (and for the wax to grip). Bottom line is that in classic, far more than with skate, the skiers' ability affects what skis can be used effectively. Hopefully these observations will help you make wise choices going into the new season and you'll have the great experiences that you have been hoping for!